British and European touring car title winner Sir John Whitmore has died at the age of 79. Whitmore was one of Britain's leading drivers of the 1960s, best known for winning the 1961 British Saloon Car Championship and the European Touring Car crown four years later. He started racing in the late 1950s and came to prominence in GT racing with a Lotus Elite, acquired with the help of his friend Lotus F1 driver Alan Stacey. 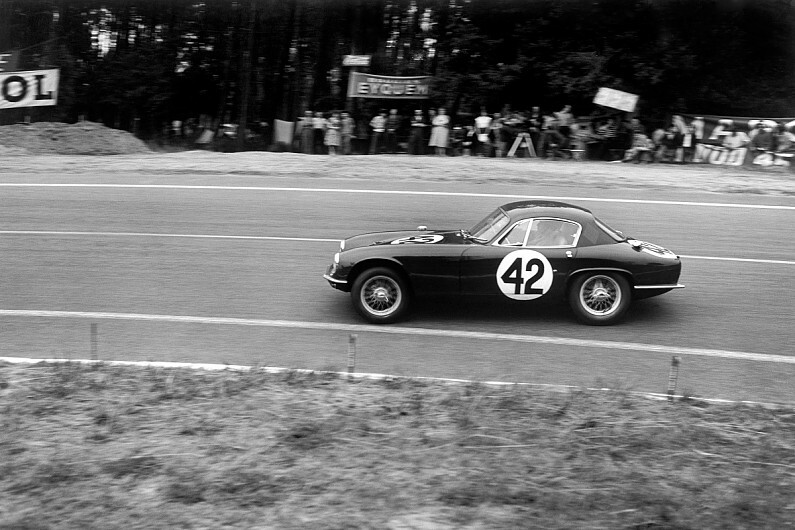 Colin Chapman was impressed by Whitmore's pace and offered him the chance to share a works Elite with Jim Clark at the 1959 Le Mans 24 Hours (pictured below). The two farmers finished 10 overall and second in class and became firm friends in the process. Into the 1960s Whitmore was much in demand as a sports and GT racer and even raced in single-seaters from time to time. He drove for John Ogier, Border Reivers and jazz musician Chris Barber, all with success. For 1961 he bought an 848cc Mini - for £400 - and won the British Saloon Car Championship. He then joined Ken Tyrrell's works-supported team to race Minis for the next two seasons before stepping up to Fords as he built a reputation as one of Britain's leading saloon car racers of the era. Whitmore won the 1600cc section of the 1965 European Touring Car Championship in an Alan Mann-entered Lotus Cortina, earning the outright crown in the process, and then raced Ford Mustangs and Falcons. He raced AC Cobras and Ford GT40s with success but called time on his career in 1966 after several serious accidents for racing friends. 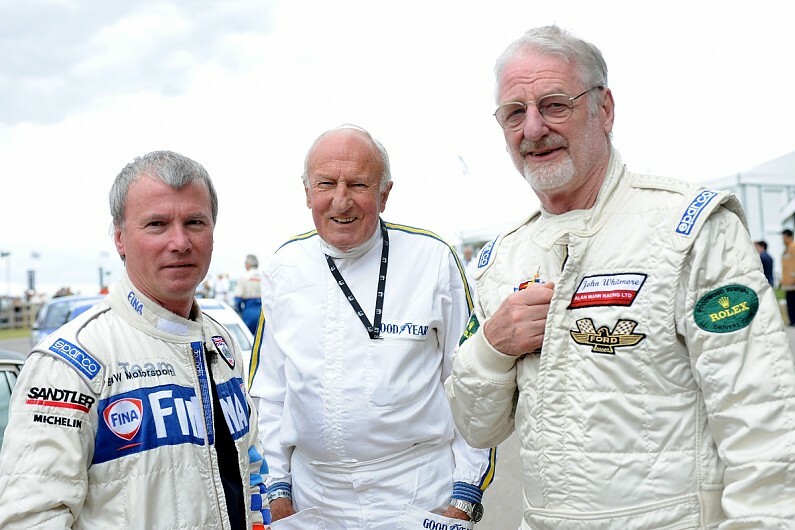 In 1990 he made a brief comeback in a McLaren M8F and won at the Silverstone Historic Festival, and made other historic appearances at Goodwood - pictured below, right, with Steve Soper and Jack Sears - in his later years.